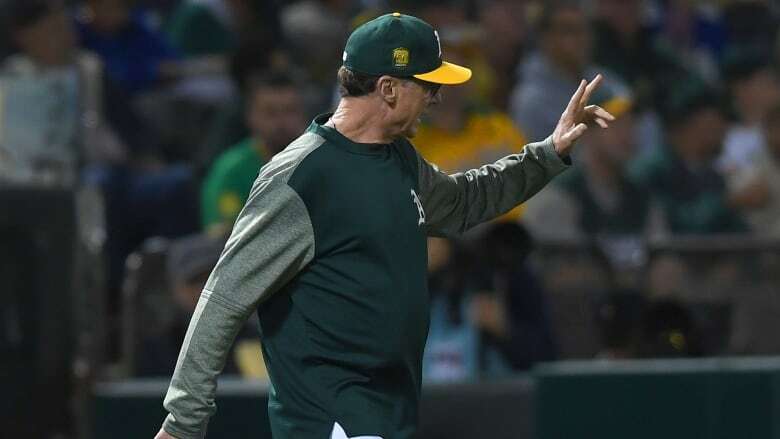 Oakland's Bob Melvin was voted Manager of the Year for the third time, winning the American League honour after leading the Athletics to the playoffs despite the lowest opening-day payroll in the major leagues. Bob Melvin's job was a lot different as a rookie manager with Seattle in 2002, and even when he was voted Manager of the Year with Arizona in 2007 and Oakland in 2012. His A's went 97-65, a 22-win improvement over 2017, even with a $68.6 million US payroll when the season began. They overcame a 34-36 start to go a big league-best from June 16 on, even though Jharel Cotton, A.J. Puk, Sean Manaea, Kendall Graveman, Brett Anderson, Andrew Triggs and several other starting pitchers got hurt. They lost to the New York Yankees in the AL wild-card game.